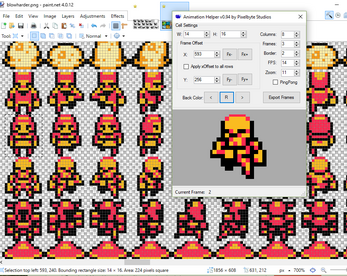 If you use Paint .NET for creating sprite animations, then this plugin is for you. It allows you to view any sequence of frames as an animation within an image without having to leave Paint .NET. You can also save all frames of an animation as a single multi-frame strip, individual PNG files, or as an animated GIF(experimental). Help is also integrated into the plugin. Just hover over the parameter in question and a pop-up will appear. 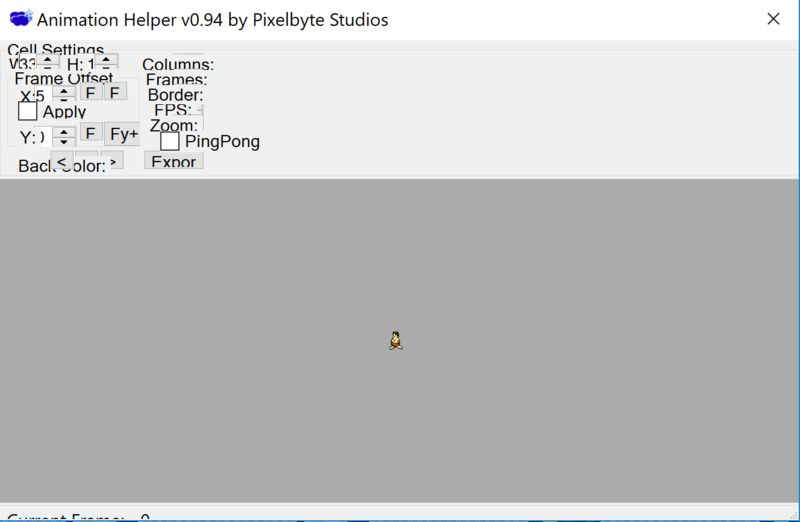 Try out my Color Pick tool for Windows which is programmable and can capture any color(s) from your desktop. Requires the latest version of Paint .NET installed. Installation instructions can be found in INSTALL.txt located in the zip file. i really like this plugin i made Animations for my Animated video in a short deadline. I am facing same issue while making a 2d animation video and founf this article so useful that solved my problem Thanks. Are you using the latest version of Paint .NET? It was recently updated to improve high dpi scaling support. Do you have the display scaling set to more than 100%? I just tested it with a display scaling of 200% and it looked fine but I'm running the latest version of Windows 10. I just uploaded a newer version of the plugin. you might download it and see if it helps with your issue. Also make sure you are using the latest version of Paint .NET. Thank you I'll go ahead and try that! Amazing tool! You got a shoutout from ConcernedApe (stardew valley dev) who used your tool in his game, which is how I found it. So simple but so useful. Thanks for the positive feedback. 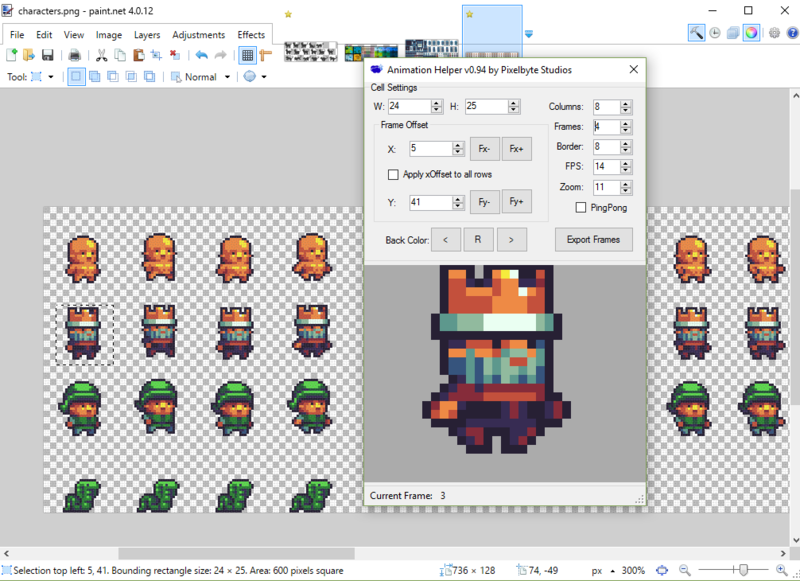 I knew he used Paint .NET for Stardew Valley but didn't know about my plugin. Very cool! I have an image that is 600 pixels wide. 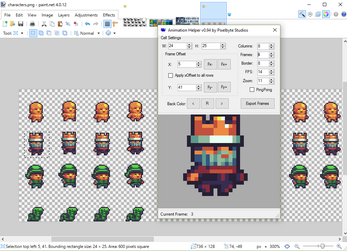 I want to make 300 frames which are 300 pixels wide - incrementing one pixel each time. Is this possible with this plugin? 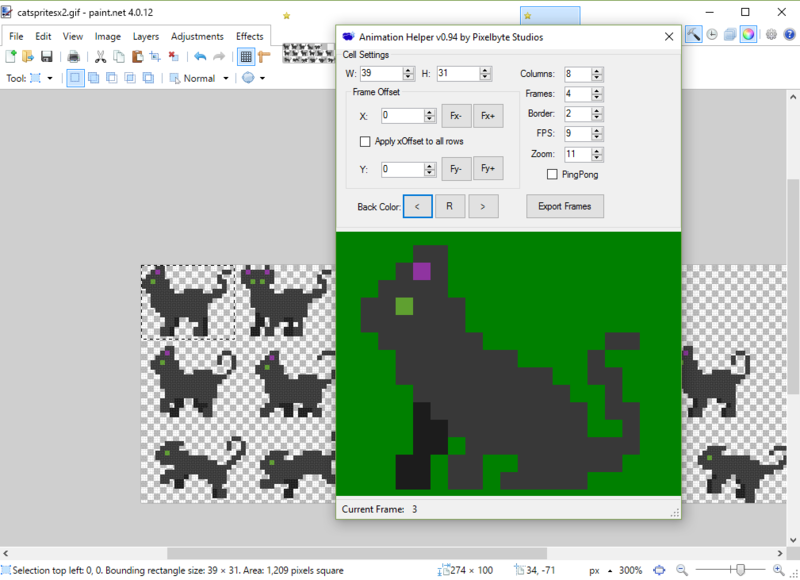 This tool is a MUST have for anyone working with sprites in Paint.Net. 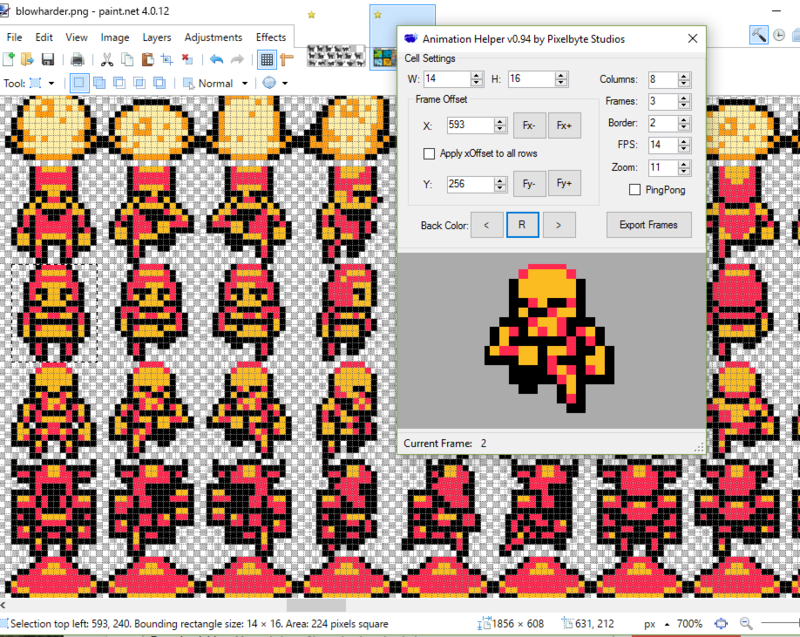 Preview can be fine tuned for your specific spritesheet layout, including borders and offsets. Superb! I'm glad you find it useful, and thanks for taking the time to comment! This is REALLY cool plugin. I don't need this, but thanks!